Portreath and Predannack airfields lie towards the end of Cornwall. All wartime airfields were frontiers between the relative safety of the British Isles and the world of active war beyond, but not all of them portray this so eloquently by their position. The sea is ever present just over the edge of a cliff, the possibility of blue always sits beyond the green horizon. At Portreath my father left for North Africa with a brand-new Beaufighter in January 1943, one of many who did the same, some of whom never touched down on British soil again. 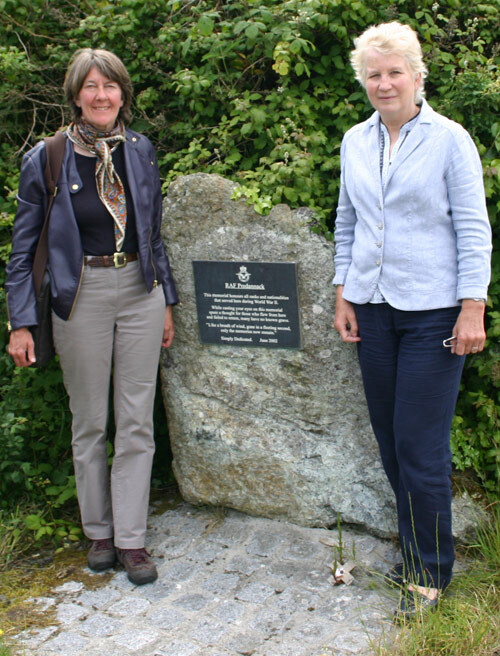 The photograph of RAF Portreath is with the ever-helpful, Cpl Jacqui Crooks, to whom many thanks for her company and welcome at the base. At Predannack I went to remember Sgt Pilot Tommy Hunter, who was lost flying back home from an intruder operation over France, 29 September 1941, some five miles out in that now-peaceful blue sea beyond the coastline. He was just 21. The memorial at the gate is very apposite: “Like a breath of wind, gone in a fleeting second, only the memories now remain.” But we honoured those memories on a June day in 2015. I was with Julia Smith, whose father, Flt Lt Wilfred “Bob” Peasley, served here, and met and married Julia’s mother during the war. He served with my father in 46 Squadron in North Africa. At RNAS Culdrose, just north of Predannack, the Royal Navy Air Service have been carrying out sea-to-air rescue for decades, their helicopters enabling them both to reach those in distress and hover over them and winch them to safety. For those early wartime pilots like Tommy Hunter, this was not yet possible. Once ditched in the water, they bobbed about in the cold sea in their Mae West vests, until a plane spotted them in its searching journey overhead, or a boat located them, perhaps drawn by their cries or whistle. For many, the wait was too long. 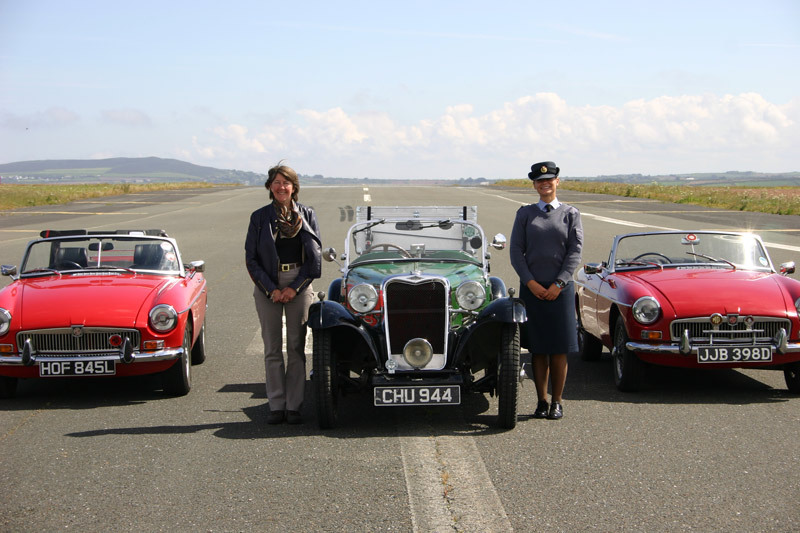 It was moving for me, therefore, to be given a tour of RNAS Culdrose by the informative Lt Cmdr Watts, pictured. After the terribly high numbers of airmen drowned at sea from the early years of the war, the practice of search and rescue had to be developed quickly in order to save precious lives and get downed airmen back into the skies. 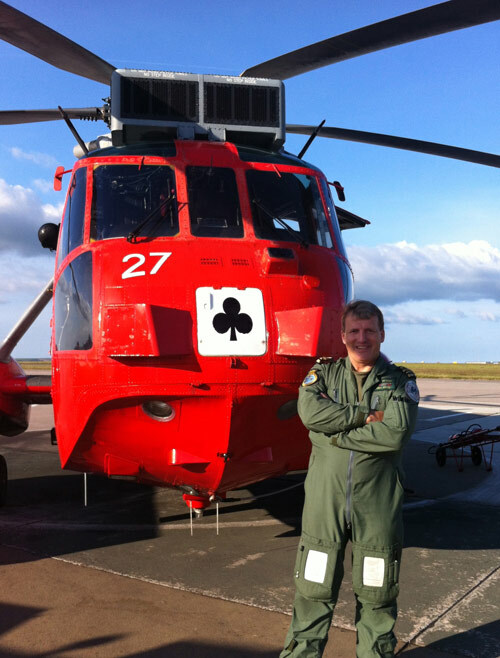 771 Naval Air Squadron has been operating since 1939. In the early days it was concerned with trial and evaluation of aircraft and equipment, which continued into the 1960s as it carried out trials for Whirlwinds and Wasps, always developing the techniques and requirements of effective search and rescue. 771 Squadron became a dedicate search and rescue (SAR) unit in the 1980s, using Wessex, Whirlwind and Sea King helicopters. The SAR activity in the UK is gradually being transferred into civilian operation, so I feel privileged to have been given such a clear sense through this visit of the way in which search and rescue at sea has been improved and tested over time by such dedicated units and men as this. We have a lot to thank them for. I am particularly pleased that on this one stop for my tour, I am able to acknowledge the huge part played in aerial warfare and peacetime rescue work by the Fleet Air Arm and the Royal Naval Air Service. It should never be overlooked or forgotten.